What would you need to try Diablo Immortal? I’ll be up front and admit I am not likely going to play Diablo Immortal. I don’t hate mobile games, but I have real trouble with a touch pad interface for anything complex requiring reaction time. I couldn’t even handle Baldur’s Gate for my iPad, but now I’m supposed to be able to play and control a Diablo game on it? I mean, so far the game looks pretty good to me, I’m definitely interested in the idea of a Diablo MMO no matter what devices it’s on. But I feel like my own personal limitations require a more robust and tactile control scheme than I’m able to get from a mobile device. Now, if they put it out for the Switch? I’d find a way to get a Switch. I’d sell organs, I think. Just the idea of being able to play it on a device with actual controllers makes a huge difference for me. Literally the only thing keeping me from being a day one player on this game is that it’s on mobile, purely because I’m simply not very good at controlling games on mobile devices. I know plenty of people are, and I’m totally okay with a Diablo game existing for them, but it’s a barrier to me. I would either need to be convinced that this time, the mobile controls for the touchscreen actually work (which means getting to play a demo) or a port onto a console, I think. What about you? Are you just not interested in mobile games? Are you too upset that it’s not the Diablo 4 we all wanted, or feel like the Diablo 3 Switch port was enough of a mobile Diablo experience for you? I’m curious what it would take to get you to play it — would you need it ported to another platform, would you need a low price point, or maybe you’re planning on playing it and don’t need any convincing? 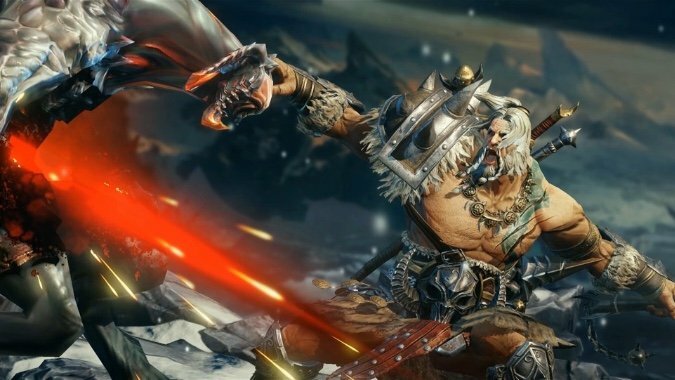 Share what it would take to get you on board with Diablo Immortal.